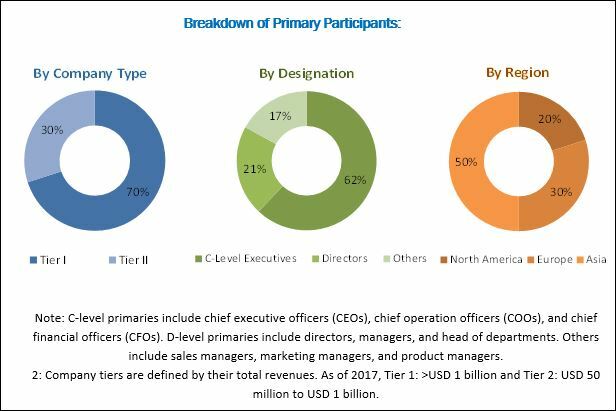 [111 Pages Report] The negative pressure wound therapy market is expected to reach USD 2.72 billion by 2023 from USD 2.01 billion in 2017, at a CAGR of 5.2%. The base year for this study is 2017 and the forecast period is 2018–2023. To track and analyze competitive developments such as partnerships, agreements, collaborations, and joint ventures; mergers and acquisitions; product launches; and research and development activities in the market. The key players in negative pressure wound therapy market are Acelity (US), Smith & Nephew (UK), Mölnlycke Health Care AB (Sweden), Cardinal Health (US), ConvaTec (UK), and DeRoyal (US), Lohmann & Rauscher (German), Talley Group (UK), Medela (Switzerland), and Genadyne (US). The negative pressure wound therapy market is segmented by product type, wound type, end user, and region. By product type, the NPWT devices market is categorized into conventional NPWT devices, single-use NPWT devices, and accessories. The conventional segment is expected to account for the largest share of the global NPWT devices market in 2018. This segment is driven by the ability of conventional NPWT systems to manage severe wound exudates. However, high costs and the growing adoption of disposable NPWT devices are restraining market growth to a certain extent. Based on the wound type, the negative pressure wound therapy market is segmented into surgical and traumatic wounds, ulcers, and burns. The ulcer segment is subsegmented into pressure ulcers, venous ulcers, diabetic foot ulcers, and other ulcers. The surgical and traumatic wounds segment is expected to hold the largest share of the wound type segment in 2018 due to the growing prevalence of surgical & traumatic wounds and increasing spending on chronic and surgical wounds. By end user, the NPWT devices market is classified into hospitals, home care settings, and other end users. In 2018, the hospitals segment is expected to account for the largest share of the market. The rising need for wound care services and increasing need of advanced wound management for treating complex wounds (such as high-grade diabetic foot ulcers, pressure ulcers, venous leg ulcers, and surgical wounds) among the rapidly growing geriatric population are some of the key factors responsible for the growing demand for NPWT devices in hospitals. On the basis of region, the negative pressure wound therapy market is segmented into North America, Europe, Asia, and the Rest of the World (RoW). In 2018, North America is expected to command the largest share of the NPWT devices market. The large share of this market segment can be attributed to increasing incidence of chronic wounds and diabetes and rising geriatric population. In addition to this, the favorable reimbursement scenario in the region is expected to increase the adoption of NPWT devices. Some of the major players operating in this market are Acelity (US), Smith & Nephew (UK), Mölnlycke Health Care AB (Sweden), Cardinal Health (US), ConvaTec (UK), and DeRoyal (US), Lohmann & Rauscher (German), Talley Group (UK), Medela (Switzerland), and Genadyne (US).